What is a Bail Bonds Company? Home » Arizona Bail Bonds » What is a Bail Bond Company? 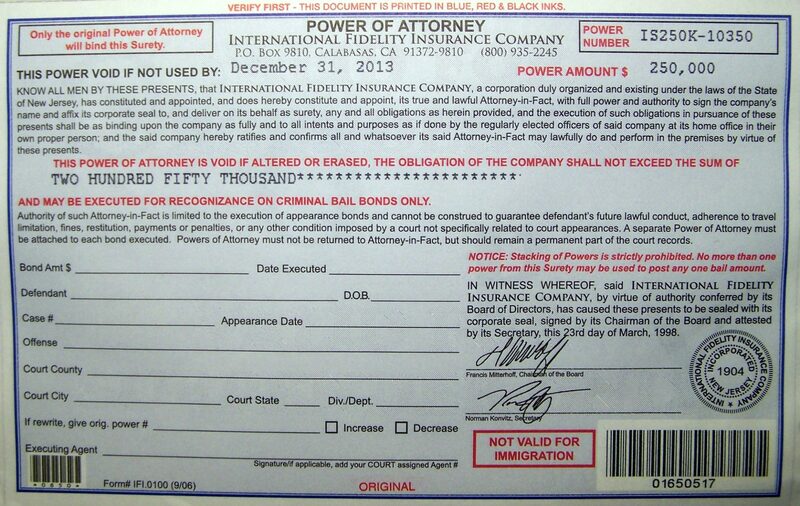 A bail bond company acts as Agent for an insurance company, also known as a Surety. Surety companies are licensed and regulated in each state where they operate. The bail bonds company is also licensed to operate in the state, but operates as Agent for the Surety. Both Agent and Surety are bound by strict regulations governed by the Arizona Department of Insurance. Bail Bond companies must operate under specific guidelines on the rates they must charge and regulations governing contracts. Arizona bail bonds sell for a minimum 10% premium and are secured by collateral equal to the amount of the bond. Bail Bond Agents are authorized to use Surety Powers to post bail bonds. A Surety Power (also known as Power of Attorney, or bail bond) is a financial instrument that promises to pay the Court the full bond amount in cash if the Defendant doesn’t go to his/her hearings. The Surety company vests the bail bond agent with the power (Power of Attorney) to create a binding obligation between the Court and Surety company. Phoenix Bail Bonds are posted for inmates incarcerated in the largest jail system in the state, the Maricopa County Jail. Maricopa County Bail Bonds is a major supplier of bonds to the Maricopa County Jail; they provide superior service and provide free information to the Phoenix Jails. 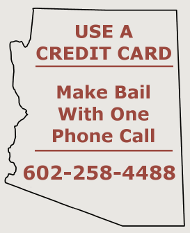 Call (602) 258-4488 for Phoenix bail bonds.